Beginning in November 2017, all payments to vendors will be made via Electronic Funds Transfer (EFT) from the U.S. Treasury. Treasury checks will no longer be issued locally by the Western District of Missouri. If you will be conducting business with any of these agencies after November 1, 2017, then you are required to register your entity in the federal System for Award Management (SAM) so that payments can be processed to you via EFT. If you do not anticipate doing business with the Western District of Missouri after November 1, 2017 and do not wish to register with SAM, please let us know by sending an email to vendors@mow.uscourts.gov so that we can administratively close your vendor record. Please be aware that if you later become an active vendor, you will then be required to register with SAM. 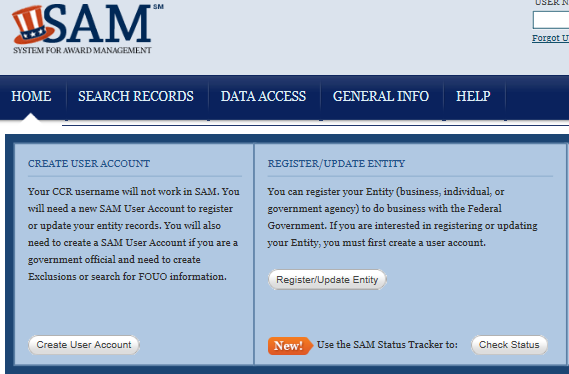 Determine if you have previously registered with SAM. If so, please send an email to vendors@mow.uscourts.gov to let us know that you are already registered. Please include your DUNS number in the email. Determine if you have already applied for and received a DUNS number. If you have not, go to http://fedgov.dnb.com/webform to request one. There is no fee for this service. Determine whether your business has been issued a Commercial and Government Entity (CAGE) code. If you do not have a CAGE code for your entity, one will be assigned automatically during the SAM registration process. SAM Registration Information – To complete SAM registration, you will need the following information. Please allow up to 10 business days after you submit your registration for it to become active in SAM. Further Information – If you need further SAM information, SAM Quick Reference Guides, answers to Frequently Asked Questions, and demonstration videos are located on the SAM.gov website under the ‘Help’ tab. Further Assistance – If you need further assistance, please contact the SAM Help Desk at www.fsd.gov, 866-606-8220 or the Help tab on the SAM website. An IRS review of your SAM application will follow your registration; please note that this process may take up to ten business days. You will be notified by email again when that review is complete, and your SAM account is officially activated. When you receive the final confirmation email, forward the email and your DUNS number to vendors@mow.uscourts.gov. Then we will be able to link your SAM account to the Western District of Missouri accounts payable system. You’ll be all set to receive EFT payments in November!